Thinking of throwing a party? Don't be square! Get some nifty 50's (and 60's) goodies for your shindig. 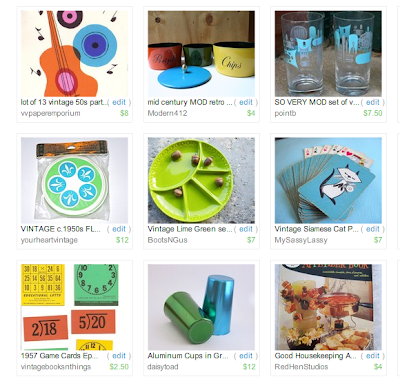 You'll find new old stock invitations and paper coasters at Etsy, as well as barware, games and other fine finds. The best part - all of these goodies are under $12, so you'll have plenty o' money left over for a fine frock. Canasta anyone?